Often, new plants struggle to get enough water to thrive; by using Besgrow Spagmoss Hydromats you can dramatically increase plant survival due to more water being available to the root system a the time of planting.Hydromats are a blend of Sphagnum cristatum and Sphagnum subnitens moss petals combined and compressed into easy to use sheets for use at the root zone of trees and shrubs. 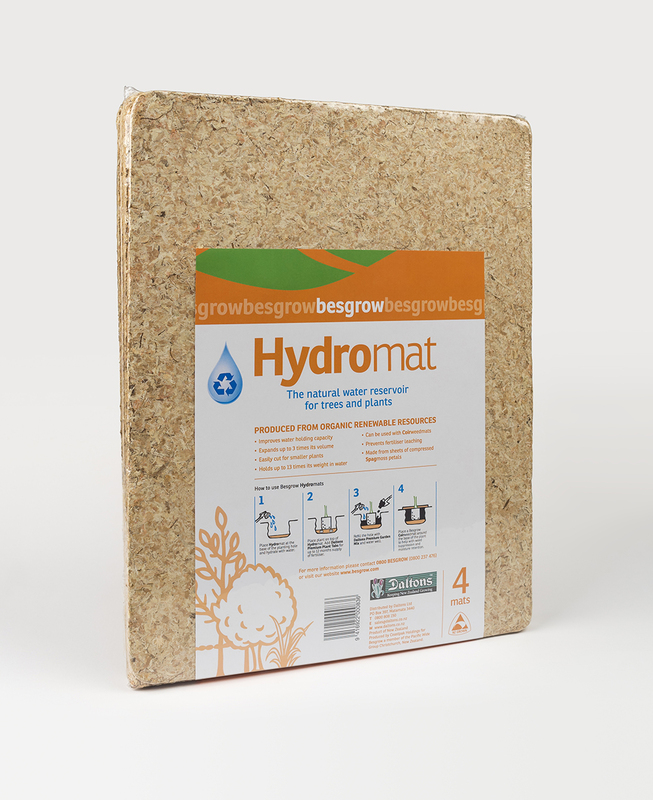 Due to the excellent Water Holding Capacity of Sphagnum moss, Hydromats hold up to 13 times their weight in water and do not accumulate unwanted salts. When placed in plant holes and hydrated, Hydromats act as a natural water reservoir for roots, giving your trees and shrubs the best start in life. Simply place into your plant hole, hydrate the Hydromat with approximately 4-5 litres of water and plant your plant as normal. It’s that easy! All of our Besgrow Sphagnum moss products, including Hydromats, are harvested from fully renewable resources and managed for future sustainability.